E72 messaging slows down after text messages go above 2000. 5 MP camera is the major turn on in E72 for me against Blackberry and Iphone. When the internet is connected, the cellphone does not receive calls. This is one of the major turn offs as compared to Blackberry. The push email service of E72 is not as good as Blackberry. Lots of room for improvement. The speaker is not as good as of E71. It has an average speaker with a low volume. The phone can be charged via USB port but that also creates problems sometimes. The phone has a multi alarm installed which is a big improvement. The battery life is good and you do not need to charge the phone before a day. There are a small number of applications available for E72. This is less than Blackberry. Abode Acrobat Reader on E72 is not of much use, you need to upgrade it with a purchase. The office application is good for opening office documents but not good for editing them. The optical navigation key is not of much use. The voice command button on the right side could have been used for a better purpose. 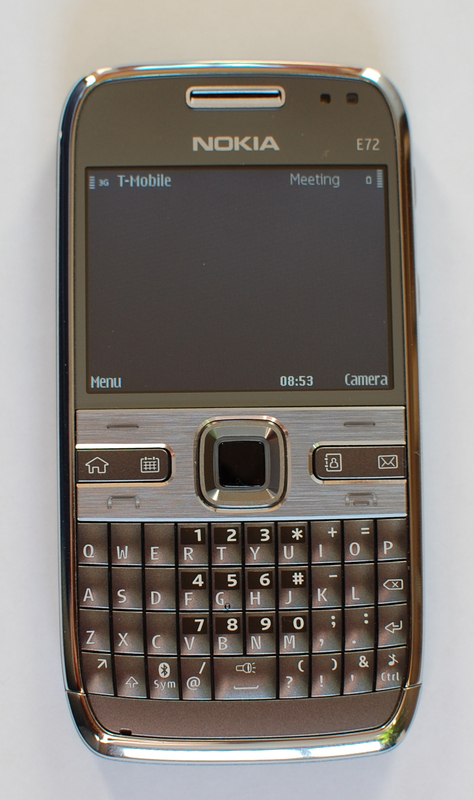 To summarize, if you are a user who wants a normal business phone, excellent camera phone, high text messaging usage, fast processing and low email usage, E72 is a perfect choice.The style factor of E72 is definitely less than Blackberry. To me, my decision to buy E72 against Iphone, Blackberry Javelian 8900 or Blackberry 9200 clearly indicates that I prefer value above looks. I am personally satisfied with E72 as it works great for the basics that I need. If need more, better, and less expensive apps than BlackBerry’s, Android is an option. As compared to Apple and BB, most percentage of apps are free and of good quality. Especially SE X10 is a wonderful package, a smartphone phone with very good camera, killing looks, strong social-networks integration and media.